Portable chargers can be a life saver. I know I make sure I always have one charged up and in my purse. You will never know when you need one. I have two items that might make your travel a little easier! Check out how it’s made donnahup.com’s travel easier here. 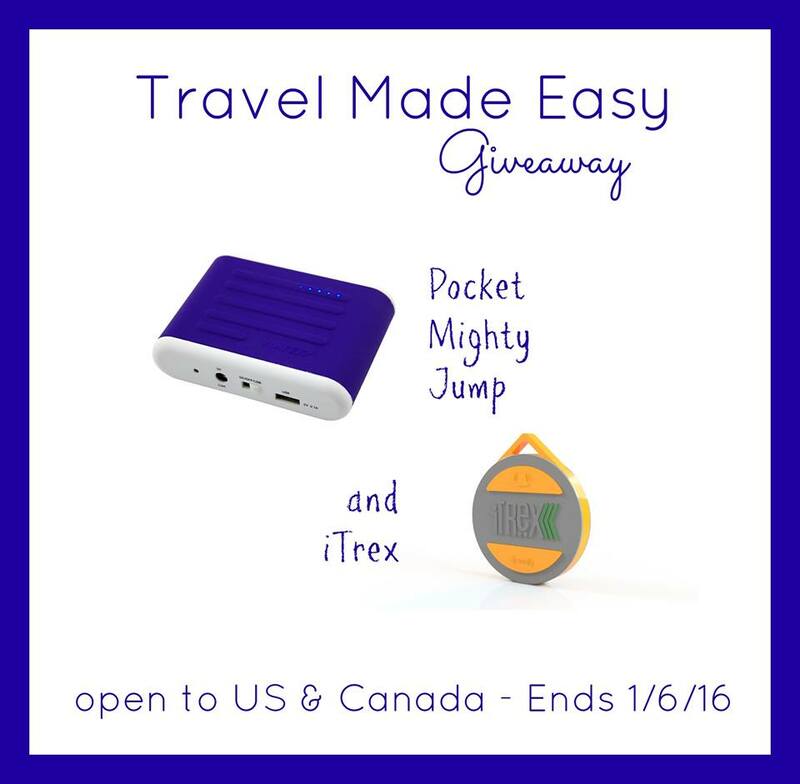 One lucky winner will receive both a Pocket Mighty Jump and an iTrex. The Pocket Mighty Jump is an emergency vehicle jump starter and electronic device charger in one. The iTrex is the perfect tracking device for anything you want to keep safe and sound. It can also be used in reverse to locate your phone or tablet. I’ve always wanted to see the Swiss Alps in person because they are so majestic! Italy, India and Peru. They all have so much history. Hawaii…My husband and I are still waiting for the day we can go there…..it’s on the bucket list! Would go to Paris, have always wanted to go there and love everything about Paris. It would be fun to shop and visit cafes and experience other cultures. I would go to AZ. My sister lost her husband in a motorcylce wreck a couple months ago. I want to go be with her for a while. I would love to have this to take with me. I would go to Peru to see Machu Picchu. That would be a dream. It is such a beautiful and mysterious place. I have two places, Hawaii for the beauty and weather and Alaska to see the Northern Lights and the Ice Glaceriers. I would travel up north to Illinois so I could see my oldest son and his family. We haven’t seen him in over 7 years, and we haven’t met 2 of our grandchildren face to face yet. I have lots of hugs and kisses stored up for them all!! If I could travel anywhere in the world I would go to Japan because I have always been fascinated by the Japanese culture. I also would love to see the Aogashima Volcano. I would want to go to Italy. A lot of my family is from there and I’m sure I still have family that lives there. Plus, there’s so many neat places there. I’ve been wanting to go to Italy to visit the castles and see the beautiful countryside. I want to see Venice before it is under water! Need to get my self to New Zealand to see the beautiful scenery there. I would like to go to Ger\many, because I have seen photos, and it is so beautiful there. I definitely would love to go there. I have always wanted to go to Hawaii. I think it would be beautiful to see. I would travel to Mauritius to visit family. I would go to Peru and tour the sites of ancient civilizations. I would go to Scotland. I love it’s history. I would love to go travel to England! I have never been out of the states and would love the chance to go traveling abroad. England is so full of rich history. It would be so much fun! I would love to go to Jerusaluem and see where jesus was born and walk where he walked! I would go to Rome because my mom said it was the best place she’s vacationed. I would go to Italy, I love the culture and it is where my family is from! I would love to go back to the Bahamas. It is amazing there. I would love to travel to Italy to photograph the beauty and learn about the history and culture. I’d pick Hawaii, in fact my trip is already booked for 2016! I would love to visit Holland because that’s where my boyfriends ancestors came from and because it sounds like a beautiful place. I would go back to Maui. Love going there. Thanks for the chance. I would love to see Italy! They have such beautiful architecture. I would love to see St. Thomas. I would love to go to Rome Italy!! I would love to just sightsee everywhere. So much to see! I would go to Bali! I’ve just always wanted to go there and explore their culture. If I could travel anywhere in the world, I would love to go to Machu Picchu. The holy grail for lovers of Inca monuments, the enigmatic lost city of Machu Picchu is the most famous archaeological site in all of South America. Iceland – I think the scenery looks incredible! Spain and Italy are next on my dream vacation list. The history, beauty and food are all a huge draw for me. I’ve always wanted to go see the pyramids in Mexico such as Chichen Itza! I would love to travel to Italy, because that’s where my husband was born, and I love Italian food. I would go to Pentwater, MI because it holds so many memories for my family. I would love to go to Germany to find places where my ancestors lived. I would to St. Maarten in the Caribbean because I used to live there and I miss it and I would love to see everyone who still lives on the island. I would love to go to Ireland and meet my extended family! I would travel to Spain. I have a friend that lives there and it would be great to catch up. I would love to go back to Paris! So many things to see & do in that beautiful city – you just can’t do them all in one trip. If I could travel anywhere in the world, I would go to Central America because I really love it there. The people are so friendly and interesting and the climate is amazing too. I would travel to Ireland. I have some Irish in me; and I’ve seen such beautiful photos of Ireland. 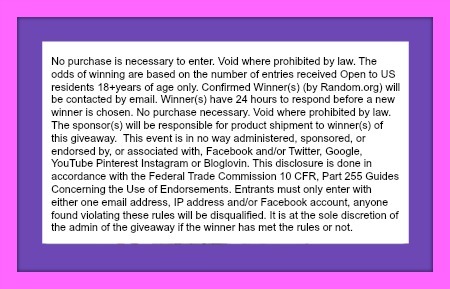 I have a few places, such as Disney World, Hong Kong, or Canada. Forgot to add why, silly me, just because those are my favorites places to be at. I would go to Iceland-my friend went this summer and said it was amazing. I would like to go to Italy where my husbands people are from. I would travel to Ibiza because my favorite DJ is resident at a bar there. I would go to Bora Bora because it is pretty there. I would go to Nevada! I would go to Greece. I’d love to visit Spain, India & Ireland. I’d love to visit Span because of the amount of time my great uncle vacationed there, he made it sound like heaven. I’d love to visit India to see the Taj Mahal & I’m half Irish so I would love to visit some real Irish pubs! I would love to go to Italy, it is so beautiful. I would love to go to Ireland, because it looks amazing! I would love to travel all around the United States to see historical sites in each one but the first one would be to see the Grand Canyon because my husband has always wanted to see it. I am not a cold weather person. My travel would be to any destination that is warm to hot all year round. Oh I know who could use this!Have a few friends that drive! I would go to Ohio!! I have friends there I haven’t seen in years!!! I want to go to Jamaica,it just seems interesting,and I have never been there before. I would go to Hawaii because I love the beach and tropics! I would love to travel to England to visit the roots of my ancestors. Right now, I would travel overseas to visit my deployed husband. Puerto Rica because it’s my boyfriend’s home. I would go to Hawaii, the Big Island. I want to visit my friend celebrating their 50th wedding anniversary. I would go to St. Maarten. I have been 3 times and it was like heaven on earth. Definitely Italy! There’s something so alluring and magical about the Italian countryside.